According to Microsoft's release notes, the Office for Mac 2011 14.2.5 Update fixes "extremely important issues and also helps improve security" related to a vulnerability that allowed an attacker to overwrite a computer's memory with malicious code when a user opened a specially crafted Excel file. An identical flaw was also patched in an update rolled out in May. This update fixes an issue in which automatic configuration did not work correctly for Outlook.com accounts. This update addresses an issue when importing data from a PST file. If an email message in the PST file contains inline images followed by attachments (in that order), the attachments will be missing from the message after it is imported in Outlook for Mac. This update fixes an issue in which certain kinds of distribution lists were not being recognized correctly as distribution lists and could not be expanded. This update addresses an issue when you use a Gmail account in Mac Outlook 2011 14.2 and later versions. When you move a message between folders, a duplicate of it was incorrectly created in the All Mails folder. This update addresses an issue in which spaces sometimes disappear when pasting content from Word or replying to messages generated in windows Outlook (which uses WordMail as editor). The issue was caused by incorrect parsing of the copied content in Outlook for Mac. This update adds a designated error to inform users when an expired password results in authentication failure. Previously, users were not provided this level of detail when an authentication failure occurred. The update requires a Mac running OS X v10.5.8 or a later that has the previous Microsoft Office for Mac 2011 14.2.3 Update installed. More information can be found here, including a link to a direct download. Like the update for Office 2011, the Office 2008 for Mac 2.3.5 Update fixes the Excel document vulnerability. 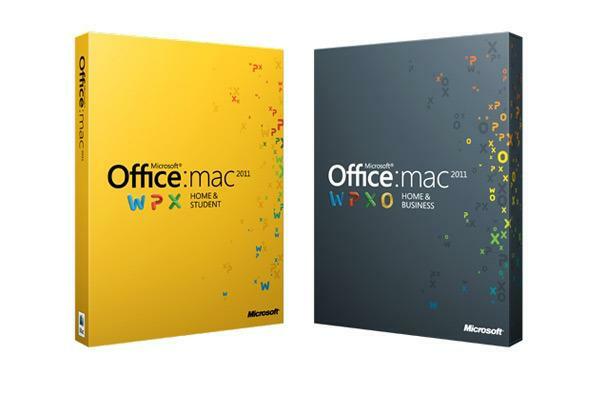 The update requires Mac OS X 10.4.9 or later and the previous Microsoft Office 2008 for Mac 12.2.0 Update. In-depth information can be found on Microsoft's dedicated support webpage, where users will find a direct download link.